Our commitment to you is to endeavor to create a stable, conservatively invested portfolio with reduced risk so that capital is preserved, while delivering both reasonable growth and income potential. To provide open, positive, ongoing communication designed to advise you of the steps being taken to help protect and increase your wealth. Our process is simple and straightforward. First, we help you define your objectives through a comprehensive life discovery discussion. Then we analyze your unique circumstances to provide you with a personalized strategy, executed using tailored solutions to help build and protect wealth, and leave a lasting legacy. As our value in your life grows, we will continue to work closely with you to help make your financial goals achievable. Drew has over 25 years of experience advising a wide range of investors with diverse financial situations and objectives. Our clients include professionals, high net worth executives, money managers, small corporations and financial institutions. Forging strong client-advisor relationships based upon trust and communication, Drew is committed to finding the best investment solutions possible that reflect the unique investment goals of each client. He has won the firm’s prestigious President’s Club* Award and Merit** Award since 2010 , demonstrating his commitment to client service and understanding clients’ goals and aspirations. Drew is the founder of the 3TO6TEAM, a charity for at risk youth in Regent Park, and a member of the Maple Leaf Sports & Entertainment (MLSE) Foundation Board. He and his wife are the proud parents of two daughters. The Abbott Advisory Group is a part of TD Wealth Private Investment Advice, a division of TD Waterhouse Canada Inc. which is a subsidiary of The Toronto-Dominion Bank. *President’s Club is awarded for meeting or exceeding business financial goals as well as maintaining a high level of professional business conduct throughout the year and consistently demonstrating integrity and the highest ethical standards. **Merit rewards sales employees who meet and exceed the business unit’s criteria, consistently deliver legendary experiences and demonstrate the following qualities: motivation; excellence; results; integrity and teamwork. 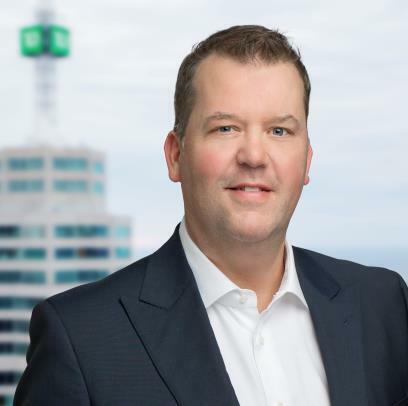 Chad received an Honours degree with a focus on Finance at the University of Ottawa and is a Life Insurance Advisor through TD Wealth Insurance Services. Chad also holds the Chartered Financial Analyst and Financial Management Advisor designations. Research analysis, portfolio creation and comprehensive wealth planning are among Chad’s responsibilities on our team. He is committed to the highest standards of client service to ensure that our clients’ needs are being met.Chad enjoys golf and outdoor activities and lives in Etobicoke with his wife and two young sons. As an entrepreneur who has successfully built, restructured and sold companies, Clay brings tremendous business acumen and experience building collaborative relationships to our group.Having owned an operating company and holding company, Clay believes that he is adept at practices central to investor’s success: deep discovery of a person’s needs, goals and parameters; consummate planning; tax minimization strategies; tax-conscious de-accumulation and transfer of wealth; estate strategies and business succession planning essential to help protect families and businesses. Clay holds a B.COMM. from Ryerson University. He is a master cyclist as well as an avid skier and a devoted dad. graduate of York University, Cindy has been in the investment business for more than 20 years, and brings proven client service experience to the Abbott Advisory Group. She has completed her Canadian Securities Course and is a Life Insurance Advisor through TD Wealth Insurance Service. She is actively involved in the preparation of client reviews, retirement plans, and all ongoing, day-to-day administrative functions that support our exceptional client service program. Her understanding of the rules that govern TFSAs, RSPs, RIFs, RESPs, Informal & Legal Trusts, has made her an integral part of the team. Cindy takes pride in providing exemplary service, in a timely manner to our clients. Cindy currently holds her orange belt in martial arts and is currently working towards her black belt. She loves time with her family and long walks with her dog. Dhakshi graduated from George Brown College in Financial Planning Management in 2005.She has completed the Canadian Securities Course (CSC) and the Wealth Management Essentials (WME) Course. She has worked at several different firms in the Private Wealth Management industry since graduating in 2005.She joined TD Wealth in 2012 and has become a valued member of our team in 2018. Dhakshi supports what we like to call our exceptional client service program. She enjoys being part of a large, busy and growing team and takes pride in striving to provide exemplary services, in a timely manner to our clients. She loves travelling and exploring new places, and enjoys time with her 9 year old dog (yorkie/shih tzu mix).